With the annual consumer electronics convention IFA right around the corner, tech companies are scrambling to catch consumer’s attention. Countless new product teasers are being released, but Lenovo’s teaser for its new Vibe X2 smartphone is creating quite a buzz. The image of a lollipop is a nod to the upcoming Android L (it’s rumored codename being lollipop) and the tagline “we can’t say anything either” is a play on Apple’s recent comment “wish we could say more” with regard to the iPhone 6. Assuming the participating companies do not want to give away details about their products before they are launched, they are relying on these clever marketing techniques to peak consumer interests. This teaser appeared to be instrumental in creating discussion about the new Vibe X2. People tweeted about Lenovo’s subtle jabs at Apple and Android, and in return created a notable peak in interest surrounding the Vibe X2. 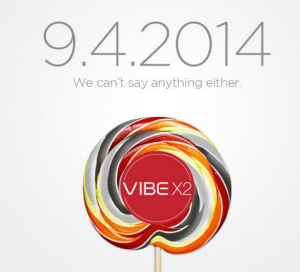 By sharing articles that speculated the meaning behind the Vibe X2 teaser, along with personal inquiries about Lenovo’s new smartphone, the advertisement was successful at getting consumer’s talking. In the competitive smartphone market, Lenovo found a way to use the prominence of other popular companies to move the focus to their announcement.